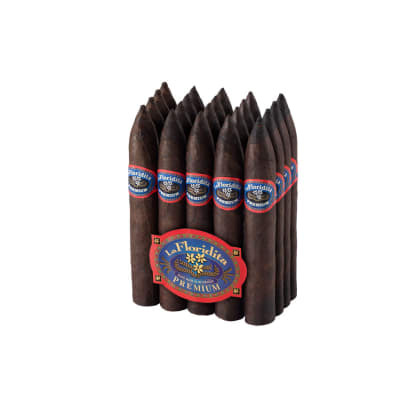 La Floridita Belicoso Maduro cigars present a well-balanced, robust mix of Dominican & Nicaraguan tobaccos with a Dominican binder wrapped in an oily, Connecticut Maduro wrapper for extra depth. 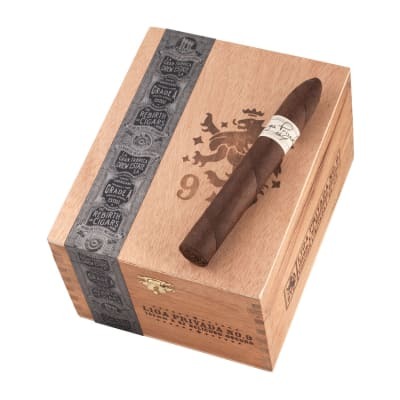 The result is an earthy, medium to full-bodied, and beefy everyday cigar at a fantastic price. these sticks are damn good! I was'nt too sure about these more inexpensive smokes since I'm really tired of spending moocho coinage for the big name cigars only to be left in a tasteless ploom of smoke.These were the first bundle I've ever bought and these are really good! Flavor,construction,burn all at a nice price point!I'll make sure the humi is locked when my buddys come over! I have smoked through nearly the entire bundle of these maduros and have enjoyed every one immensely. They have all had a very consistent, even burn, the draw is perfect and they taste great. For about $1.50/stick, this is the best value I've encountered in a cigar after having tried countless brands over the years. Nice slow burn, easy draw, enjoyable flavor. Ordered a bundle of the torps in maduro after reading so much about how wonderful the originals were. Since these were made in a different factory I had no idea what I would be getting. I haven't a clue what the first run La Floridita's tasted like, but they couldn't be better than these. The cigars have a distinct leathery aroma before lighting. The smoke is pleasant, full bodied, but not harsh with a nice spiciness and a unique flavor I can't put my finger on. This cigar is a very pleasant surprise and doesn't deserve to come in a bundle, but I for one am glad it does! It has become one of my favorites and I'm definitely ordering more. Thank you Famous!